Along with the warmer temperatures, spring fashion is on the horizon and we are in the mood for some serious color! Nothing says spring quite like bright, happy hues, and this week's look is all about embracing them. 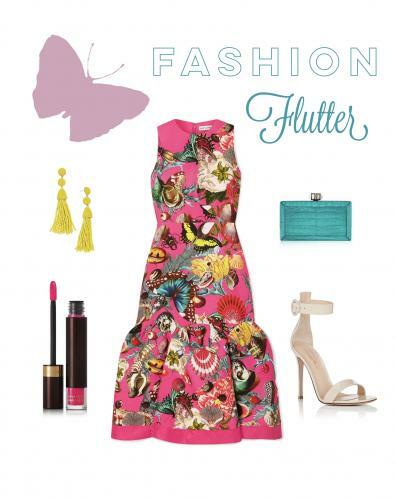 One of the first signs of the change in season is when beautiful butterflies start to flutter about; which is why this dress is so perfect. For Spring '19, Mary Katrantzou and her team mapped out the most recognizable prints from the past 10 years and re-mixed them into new forms. 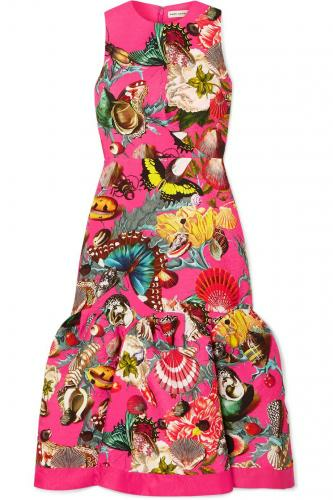 This 'Raven' dress is made from cloqué and patterned with shells and life-like insects inspired by entomology. It's fitted through the bodice and hips before flaring out to a dramatic moire trimmed ruffled hem, lined with frothy tulle to hold its shape. Since our vibrant dress has so many beautiful shades running through it, we wanted to bring them out via accessories. 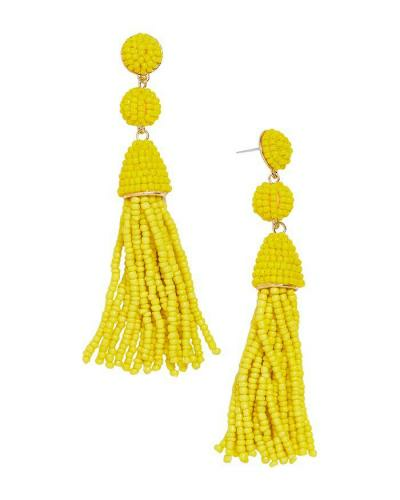 Baulebar's 'Granita' tassel drop earrings are not only loaded with colorful pizzazz, they're also affordable. Made with glass/hematite plate, these beaded beauties are lightweight; not to mention a fresh, fun addition to the color filled frock. 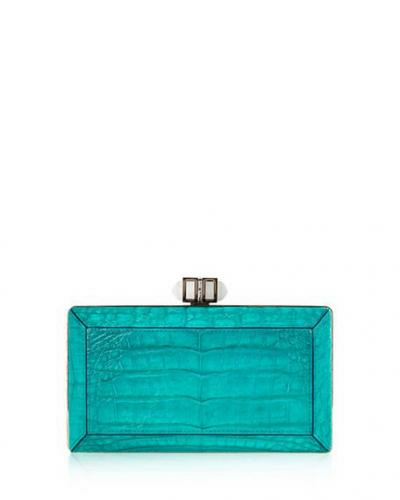 For an instant pop of aqua-blue, Judith Leiber's Coffered Crocodile Minaudiere is a chic and petite way to carry all of your must haves. The one thing we did tone down just a tad in order to let all of the other pieces shine, are our shoes. Gianvito Rossi's Portofino sandals are crafted in Italy of cream patent leather. This minimalist style features a high back, adding a touch of drama to the elegant design. 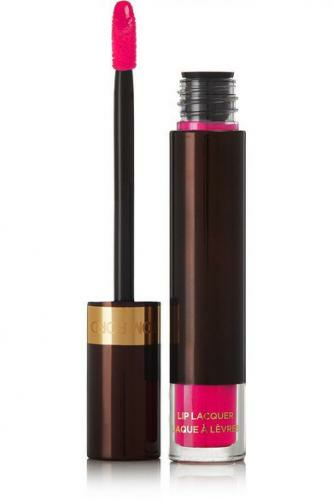 For the finishing touch, we injected a flash of fuchsia through vivid lip color. The Sheer Voile Lip Colour by Christian Louboutin Beauty moisturizes your lips and delivers a luminous high-shine finish that feels luxuriously smooth. Whether you reserve this ensemble for a spring event or simply save it for a day at Keenland, you can bet that hearts will flutter wherever you turn up.